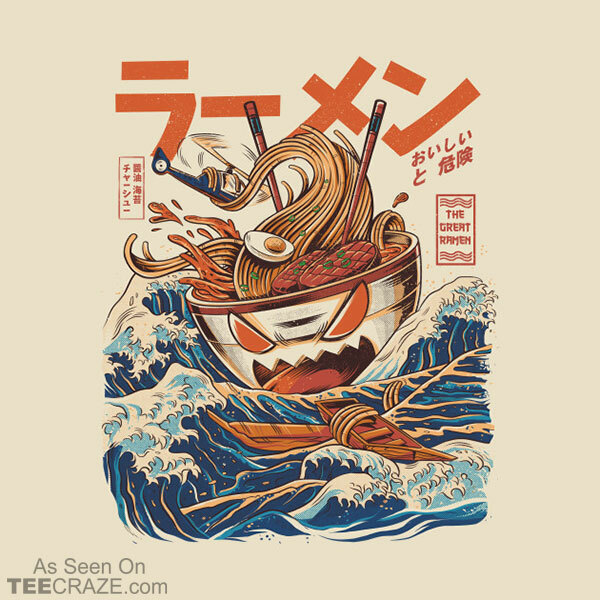 Great Ramen Off Kanagawa T-Shirt Designed by Ilustrata. 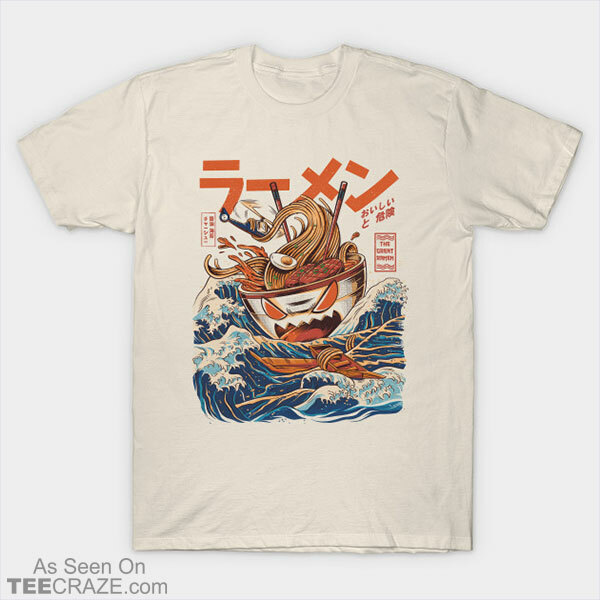 Under the Wave off Kanagawa lives a delicious monster. 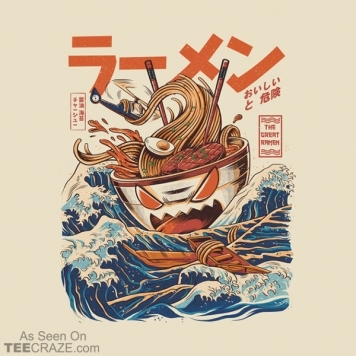 The real cause behind this wave, The Great Ramen!